More weighty is the claim that to make human nature the basis for ethics is to accept something unacceptably constricting: the imposition of a single form of life and preferred set of dispositions on everyone. Nagel is right that we have reason to reject this picture; from the viewpoint of my own deliberations I know that an ethical theory cannot be right that would impose a single way of life on me and everyone else just on the grounds that we are human. However, what is this ‘singleness’ of the ethical way of life grounded in human nature? Nagel and many other modern critics clearly think that it is something which constrains the range of specific activities in a single life and implies that individuals, however diverse, should aim at the same specific goal. If this were the case, criticism would be easy; but it is not how we find the actual ancient appeal to nature functioning. We have already seen that reflecting on our final end does not prescribe one range of specific human activities against another. The importance of reflecting on my life as a whole lies in the opportunity for clarifying and rethinking my priorities and the ordering of my values. To be told that one way of doing this, as opposed to another, is natural, in accordance with human nature, is to be told two things. One is that there are constraints which my reflection must respect and priorities which are not up to me to settle. If it is true, for example, that human nature is so constituted as always to seek only pleasure, then this rules out certain theories as to how I should live—the Stoic and Aristotelian, for a start. It also directs me as to where to discover mistakes in my life. If it is true that I cannot help seeking pleasure in all I do, and if I do not seem to be very successful in this, then I must be making mistakes as to what pleasure is and how to achieve it; and searching for these mistakes, and rectifying them, is bound to revise my way of life. But the appeal to nature is also an appeal to an ideal, an ethical ideal, articulated by ethical theory, in terms of whic hI can locate, criticize and modify those elements in my ethical beliefs which rely merely on convention. For beliefs which I have acquired in an uncritical way from my social environment cannot be relied on to take me in the righ tdirection; indeed (depending on how revisionary the theory in question is) they can be taken to be faulty and misleading. Appealing to nature gives me an ethical ideal in terms of which to reject those of my beliefs which turn out to conflict with it, and better to understand those beliefs which are in fact in conformity with it. For what is natural about me is objectively so, whereas many of my beliefs may rest on nothing better than convention. But we plainly do not, just from a conception of human nature (as aiming for pleasure, say) conclude that we should all do the same specific things in life. Ancient theories, then, do not use the appeal to nature to establish a single specific way of life, or to encourage people to ignore their individual differences. From The Morality of Happiness, by Julia Annas. I’m not a fan of how she uses the word “values” here, but in context she makes it clear it’s not the same thing as subjective valuation, which is what we typically associate with the word today. See Daniel Russell on why the nature-as-ideal is necessary in ethics, and how it works in practice. This post also provides further exploration of naturalism of this sort. Economic theory today exists entirely within the narrow confines of utilitarianism, and positivism still reigns as the accepted philosophy of science. In philosophy itself, the former has been almost entirely abandoned as unworkable, and the latter has been completely demolished. In a way, that makes the accomplishments of economists all the more amazing, given the materials they were working with. But these philosophies were discredited for a reason—they have serious problems which they lack the resources to resolve. You can see this in the critiques that economists themselves largely agree are merited, such as the results of behavioral economics. With the notable exception of prospect theory, it has proven unfeasible to integrate the insights of behavioral economics into economic theory. When your theories lack the resources to overcome persistent problems, it doesn’t hurt to start looking at how other frameworks might address those problems. In this regard, the forthcoming Economics and the Virtues, edited by Jennifer Baker and Mark White, proves an invaluable resource. The collection brings together thirteen different authors, some economists and some philosophers, who each make their attempt to bring the narrow framework of economics into dialogue with broader philosophical questions. As the name of the volume implies, this focuses primarily on virtue ethics, but not exclusively. Mark White’s essay, for instance, attempts to bring Kantian considerations into economic analysis, though he does do so through emphasis on the kind of person necessary to follow Kantian imperatives, bringing it closer to virtue. And Jason Brennan’s essay simply approaches the question of whether markets corrupt our character, a topic he has focused on a great deal lately. But the rest of the essays focus particularly on how virtue ethics can be used to bring valuable insights and much needed sophistication to economic theory. One essay I would call out as likely to be of special interest to economists is Andrew Yuengert’s “The Space Between Choice and Our Models of It,” a powerful treatment of the limitations of economic models and how Aristotle’s conception of practical reason can fill the gap. Yuengert is the author of Approximating Prudence, where this and related topics are treated in greater depth. The collection includes a great deal of history of thought in addition to attempts to synthesize different frameworks with economic theory; Eric Schliesser’s essay, for instance, details the way in which the subject matter of economics and moral philosophy went from being treated as one and the same, to distinct. One criticism I would make of the collection would be that there were several essays that were stronger in their presentation of the history of thought they were interested in than in laying the grounds for a synthesis. The first essay, by Christian Becker, provides an excellent overview of economic rationality in Aristotle and in modern economics, but ends with talk about a “virtue of sustainability” and other such things. This seemed an awkward marriage of the modern notion of sustainability with the ancient notion of virtue—one that improved neither. This does not, however, detract from the fact that the collection is a valuable source of insight, especially for economists used to operating within only one framework. For anyone looking to enrich their economic analysis with insights from frameworks that have been discussed for thousands of years, the essays in this book are an excellent place to start. Economics and the Virtues will be out in March. In his essential book on virtue ethics, Daniel Russell advanced two arguments that I found highly novel and provocative. The first is that the virtues are what he calls vague satis concepts, something I explore in depth here. The short version is that they have a threshold beyond which “virtuous enough” just is “virtuous in fact.” And this threshold is vague, in the sense that there are boundary cases that cannot be resolved simply by increasing your level of precision. One example of this is the threshold beyond which one goes from having thin or receding hair to being bald. More significantly, the concept of personhood is a vague satis concept, with boundary cases including long term coma patients, the severely brain damaged, and embryos. The second argument of interest is that virtue ethicists need a limiting principle on the number of virtues there are. The Stoics and Aquinas resorted to a very limited set of cardinal virtues of which all others were but aspects. Aristotle, however, offered no limitations at all, and most modern virtue ethicists follow him in this. Russell finds this unacceptable. This argument flows from the first one—we need a model of the virtuous person. If the number of virtues approaches infinity, then how could we ever hope to model such a person? It is this second argument I wish to disagree with. Russell thinks virtues need a limiting principle because the model of the virtuous person that he has in mind is a formally specifiable model. But this is precisely what Aristotle’s notion of phronesis, with its radical particularity, precludes. What Russell seeks is explanation, rather than understanding, when the latter is more appropriate. Let us say that virtue is like the infinite, fractal coastline of a finite island. How could we model such a thing? But committing to making all-things-considered judgments is not the same as committing to the (rather queer) life-project of becoming the best maker of all-things-considered judgments there can be. That project, like every other, consumes resources and opportunities, and can no more be assumed to be a rational one than any other project can. That is a fact about practical rationality: when it comes to making all-things-considered judgments, at some point it is reasonable to stop considering, choose, and hope that the choice is one we can live with, or perhaps grow into. Indeed, trying to become persons who do consider all things before acting is something that we have all-things-considered reasons not to do. My argument is that even the constructing of the ideal itself follows a similar rationale. After finishing a given chapter of a novel, we no doubt have certain expectations about what the book as a whole will be like, based not only on the chapter itself but on our understanding of the genre conventions the novel is operating within, maybe even of our familiarity with the author herself or what other people have insinuated about the book. Once we have completed the novel, however, our understanding will have changed—not only of the novel as a whole, but even of a given chapter and its significance. Rereading the novel, we may find the chapter discloses things to us that it didn’t the first time—and these new disclosures, in turn, inform our understanding of the whole novel. In this way, even after we have read the whole book, we can learn from parts of it. Even something as seemingly finite as a novel we can only understand incompletely. Summarizing Derrida, Jonathan Culler adds to this picture of incompleteness by arguing that meaning is determined by context, and context is boundless. We can always revisit the context and find some new aspect which sheds light on a different meaning. But Gadamer’s take on this incompleteness is much more optimistic than Derrida’s. It is also ultimately more optimistic than Russell’s, for the latter is forced to ask for models and limiting principles we do not have, implying that we haven’t had much of an idea about how to live virtuously until now. For Gadamer, it is less about models than about stories. One such story would be the story of the good life. The same story, told differently, is the story of the virtuous person. People have been contributing to this story for thousands of years. Contra Russell, most people already understand virtue and the good life, their understanding is simply and necessarily incomplete. This understanding can be improved, and we should strive to be lifelong learners in this matter, rather than finding a particular understanding and then clinging to it out of a desire for a false certainty. A courageous virtue ethics is one that asks us to accept our inability to complete it, and the necessary day-to-day role that faith must play in filling in the gaps. Linear perspective insists that all parallel lines converge upon the horizon. Well, here at the open grave, the horizon been brought dramatically forward, and Hamlet experiences the confrontation which is a response to his melodramatic soliloquy: what dreams may come after we have shuffled off this mortal coil must give us pause. Not for long, for the grave is not passive; it is active, yawning, galloping, devouring. 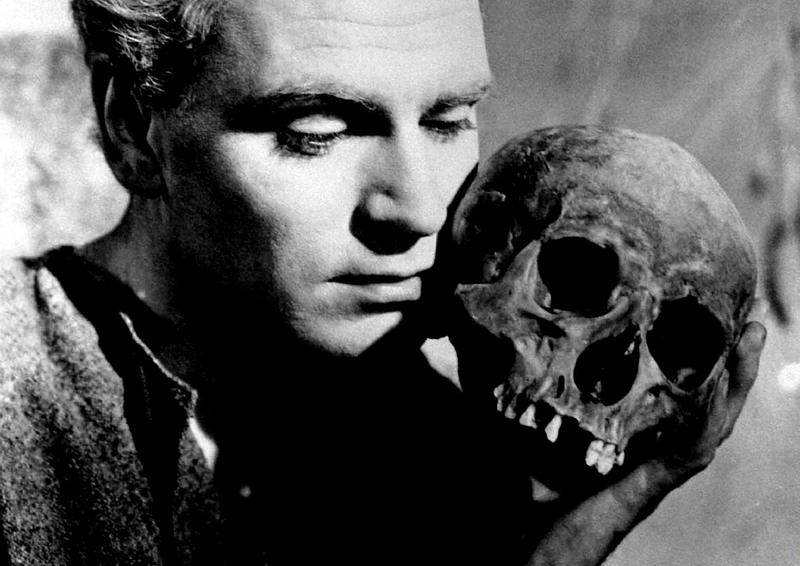 In a brilliant interpretation of the subtlest kind, Laurence Olivier’s Hamlet, when he hears the approaching funeral procession, tosses the skull of Yorick back into the grave, just in time for old Yorick to receive the recently deceased and politically important Ophelia. All the powers of the earth are here converging, with love, politics, royalty, vengeance, and that always-pressing anxiety intersecting over a grave. War is ever on the horizon, hemming everyone within easy reach of the same. Banquo’s ghost won’t rest, either, charging up from the grave to confront, wordlessly, the ambitious Macbeth. Here’s a curious aside: Richard Burton, an actor of some note, refused to play Macbeth because, as he says, he cannot be dominated by a woman in that way. The irony is captivating once you come to the understanding that he drove himself to drink over his treacherous divorce in order to win for himself the great prize, Elizabeth Taylor, who dominated him. The descent into madness, and its appeal to popular and literary culture, is not limited to obsessive thoughts concerning the grave. “This is the end. There is an end to me. 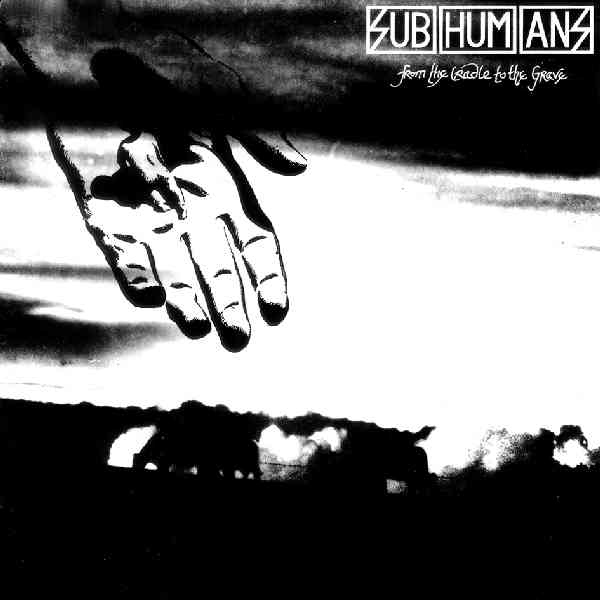 Life has no purpose, no meaning.” No, that’s maudlin stuff. Pap. Child’s play. The descent into madness is the lonely individual coping with the active, ongoing confrontation of the grave, that all our evil deeds and the evil deeds of many others manage to wriggle free from death’s strong bonds in an effort to possess us ahead of time. Ordinary people have a fascination with the exploration of the descent of ordinary people into madness. A playwright or musician will set the scene in extraordinary circumstances, by my reckoning, to sell tickets on the entertainment value. The literary value, i.e., its meaningfulness to the paying ordinary public, is its deep-seated commonality, the themes which grasp a deep-seated anxiety, an anxiety which many people would declare possesses us all. Some of us, for various reasons, cope better with that anxiety than others. The meaning of life, in other words, is a question of how to maintain meaningful behavior even while under possession of the grave.